Maybe Amazing Spider-Man #664 should have the subtitle “How Eddie Brock Got His Groove Back” because this was the most I’ve been interested in Brock/Anti-Venom in years. As I said during Chasing Amazing’s “Venom Week” a few weeks back, the Venom/Brock character has undergone a number of changes over the years – with many fans telling you for the worst. Because I still have personal attachments to the character going back to his first appearance in the late 1980s, Venom/Brock’s transformation from sadistic yet cerebral villain to the drooling, teeth-gnashing, brain-craving monster never really got me up-in-arms since I’ve long had an ASM #300 or #316 at my disposal to reminisce. 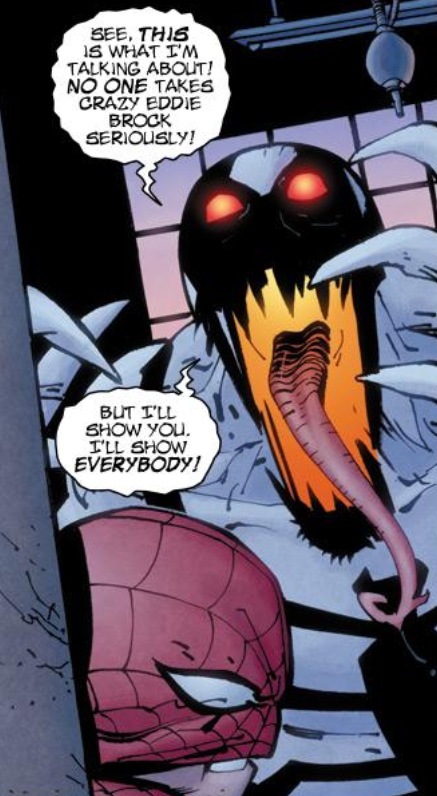 However, I’ve been on the fence regarding the more recent (and literal) transformation of Venom to Anti-Venom, a pseudo anti-hero whose mission is to cure the world from the evils of the symbiote. 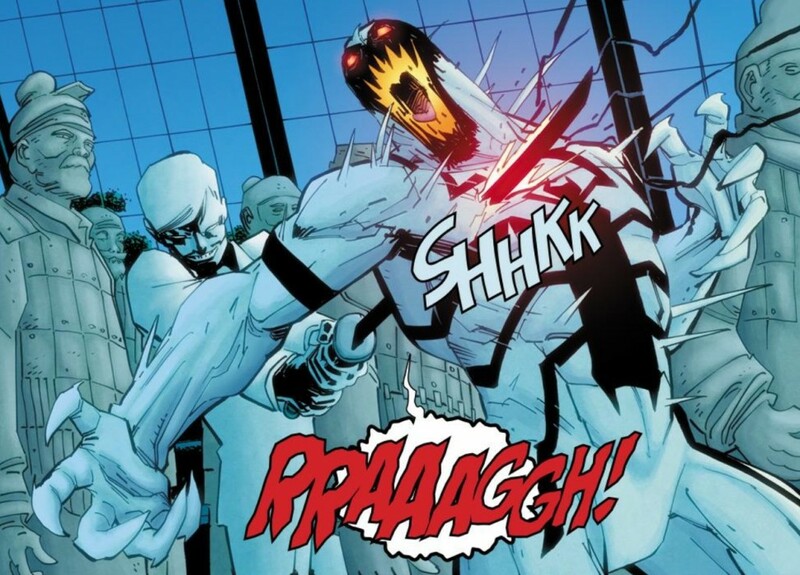 Spider-Man and Brock have such a long, contentious history, I felt like Anti-Venom was created to conveniently ease the tensions between the two characters so that readers could get behind a guy who initially became popular because of how he tap-danced on the line of good and evil. 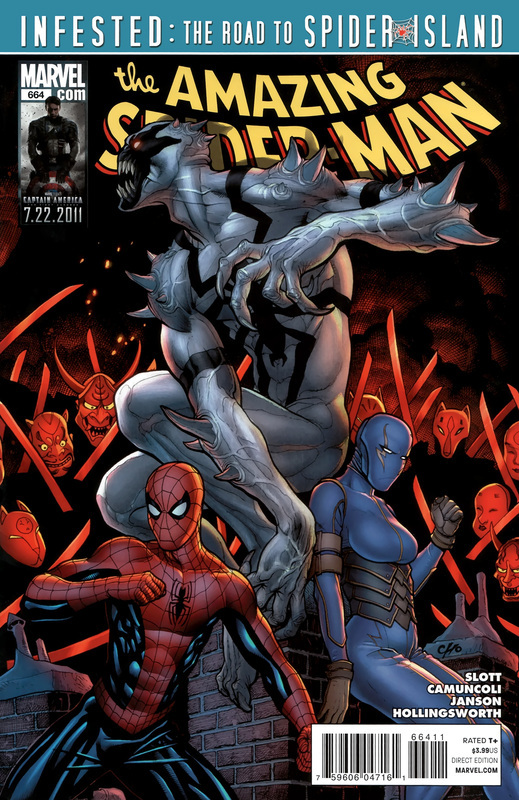 In the first part of this two-issue arc, Anti-Venom turns on Spider-Man after the web crawler interferes in Brock’s plan to take down the crimeboss Mister Negative (who’s public persona is of a wealthy philanthropist). After finishing the issue, I was expecting the story to take the played-out route of “partners who don’t like/trust each other but are forced to get along.” And while part two does technically do that, the creative team puts a unique, meta-spin on it and does a great job of portraying Brock as an insane, yet complicated character who’s just looking for some validation. Rather than kill Spidey off, Brock ties him up so he can go out and prove to him that philanthropist Martin Li is in fact Mister Negative. That decision is such a fantastic example of Brock’s demented logic. In order to redeem himself and prove himself a hero, he still acts villainous – in this case, kidnapping Spider-Man and holding him against his will. He even tries to unmask Spidey at one point, but some super convenient “sticky” skin keeps the mask on (that’s a super ability that seems to come and go as it pleases, huh?). 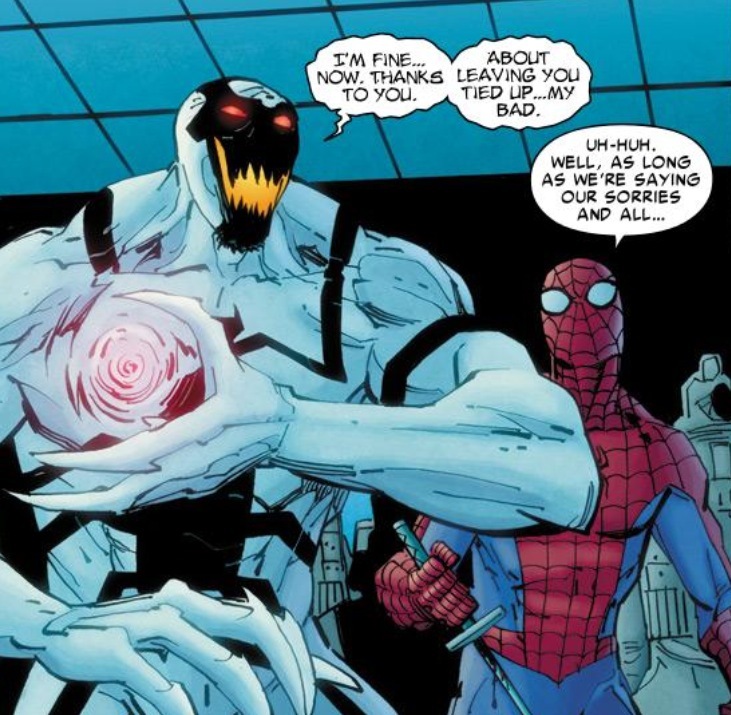 Just to add a touch of meta to the mix, Anti-Venom elaborates on the logic of his plan, saying that these kinds of misunderstandings are how all of Spider-Man’s relationships with other heroes seem to go. There’s a period of tension and confrontation followed-up by eventual trust and friendship. Yet again, this screwball logic is part of what made Brock’s character so interesting when he first debuted. I’ve always maintained the best villains believe their actions are justified, even if traditional moral standards suggest otherwise. When Brock was guised as Venom and he was hunting down Spider-Man, he believed eradicating the world of Spidey would ultimately be a good thing. He didn’t want to get Spider-Man out of the way so he could act on some elaborate plot to get rich or take over the world. Equating his actions to other, nobler characters in the Marvel Universe is such a Brock thing to do. Because he believes his intentions are pure, why can’t he be on the same level as a Human Torch or an Iron Man? From Brock’s perspective, they’re all doing the same thing – protecting the world from evil. It’s just that their methods are drastically different, as are their interpretations of evil. And fortunately, Brock is actually vindicated in this issue. 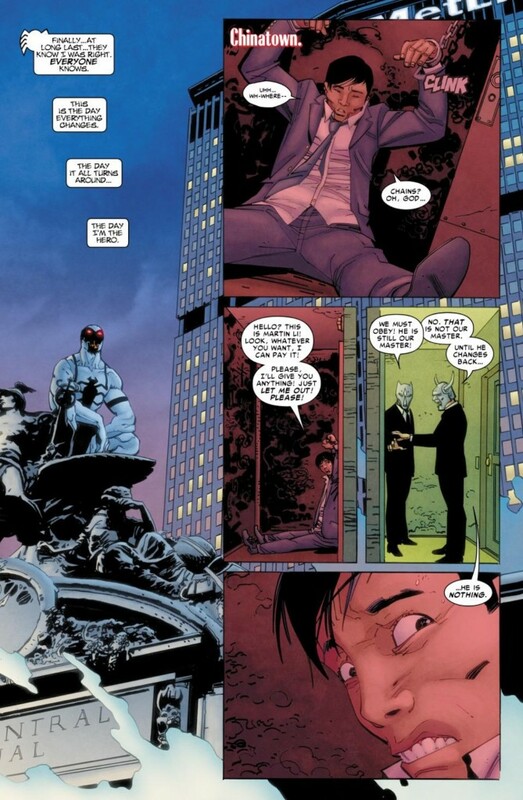 Moreso, Brock’s moral purity in wanting to expose Martin Li as Mister Negative are juxtaposed by the ambiguous actions of a traditional “good-guy,” police Captain Watanabe, who’s using stolen weaponry and mind tricks to masquerade as the long-deceased police officer Jean DeWolffe. While Watanabe also wants to take down Mister Negative, she’s resorting to deception to do it. Anti-Venom is pretty upfront with his intentions and his methods, which are primarily physical, are about as subtle as a boulder rolling down a hill. But most importantly (for me at least), this is the first time I’ve really been able to accept Brock as a legitimate hero in many years. 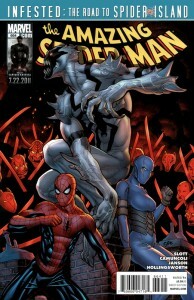 That tension between him and Spider-Man will still exist, but Spidey does give Brock credit towards the end of the issue and it leaves the reader thinking that maybe Anti-Venom is in control enough to do some actual good in the world, even if his methodology is still based in elements of insanity.